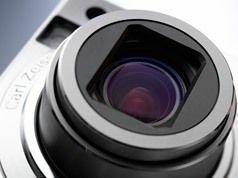 Manufacturers of Micro Four Thirds cameras were given a boost this week, with news that Carl Zeiss will begin producing lenses for the format. Currently the number of lenses that can be used on a MFT camera is limited through the use of an adapter, but Carl Zeiss has said its products will start supporting the system. The lens company currently manufacturers lenses for the likes of Sony and Leica. Carl Zeiss (the company, not the man who died in 1888) is not the only manufacturer who has said that it will start adopting the Micro Four Thirds format. Both Schneider Kreuznach and Japanese company Komamura will also start making lenses for the format. The Micro Four Thirds system was created by Olympus and Panasonic back in 2008, offering DLR-like functionality in a small-form camera body.